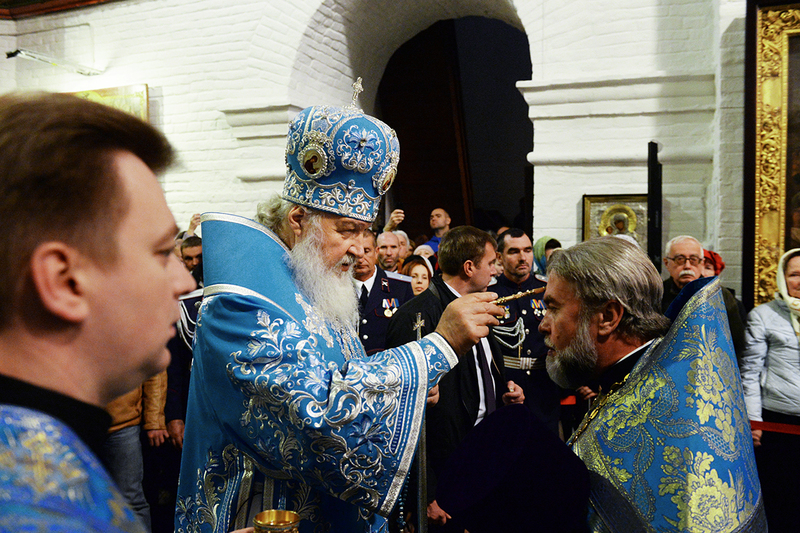 The Patriarch Kirill of Moscow and all of Russia, a Russian Orthodox bishop and Primate of the Russian Orthodox Church, ascended upon the southern port city of Rostov-on-Don for two very important cleric events. 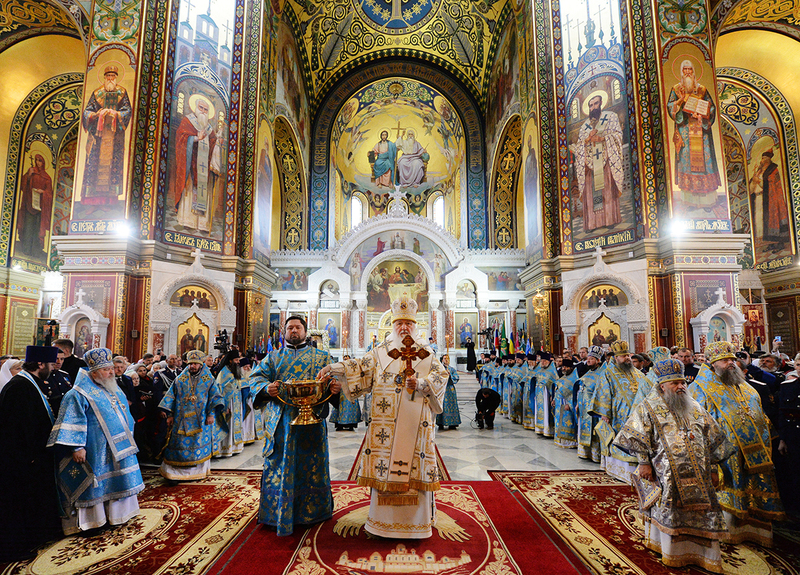 During his visit, Patriarch Kirill performed a morning service in the Cathedral of Starocherkasskaya and the following day held mass at the cathedral in Novocherkassk where he also opened the 5th World Congress of Cossacks. 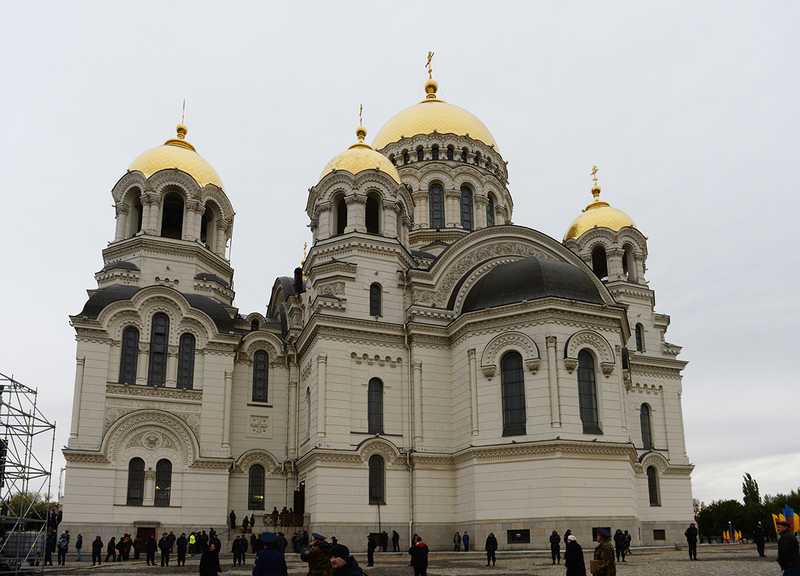 The acoustics implemented in the Cathedral of Starocherkasskaya consisted of four Pinnacle-KR102 portable systems to meet the major requirements of a discreet and almost invisible sound system to the clergy, attendees and TV cameras. 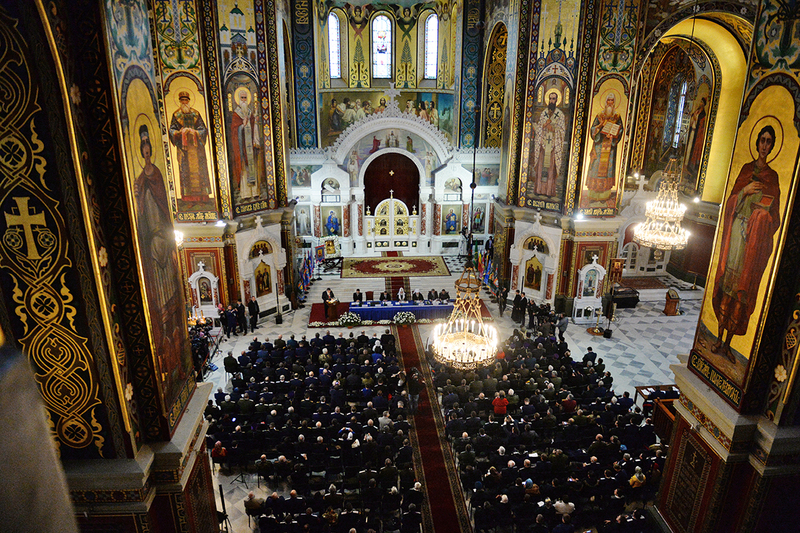 For the Cathedral of Novocherkassk, another sound system was designed to fulfil two different purposes: provide sound management and reinforcement during the inauguration and liturgy, which were accompanied by two large choirs and broadcasted on TV, and provide conference functionality and sound reinforcement during the Congress which took place following the liturgy. To capture the speech of the Patriarch as well as the delegates of the 5th World Congress of Cossacks, eight Pinnacle-KR102 systems were employed. 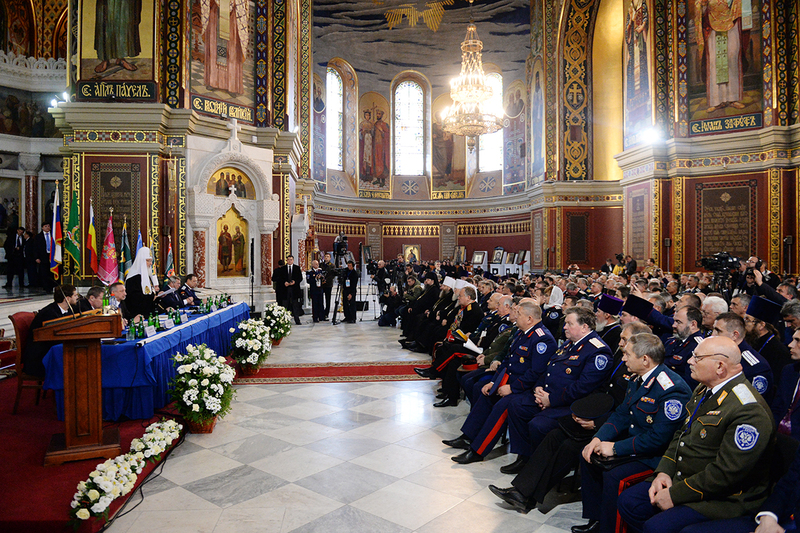 Monitoring for the clergymen was provided by four white Anakonda-KAN200 were placed along the edge of the chairmen table and hidden within the flower decorations. This project was really important for us. The visit of Patriarch Kirill I was a great event, not only for the southern regions, but for the entire nation. 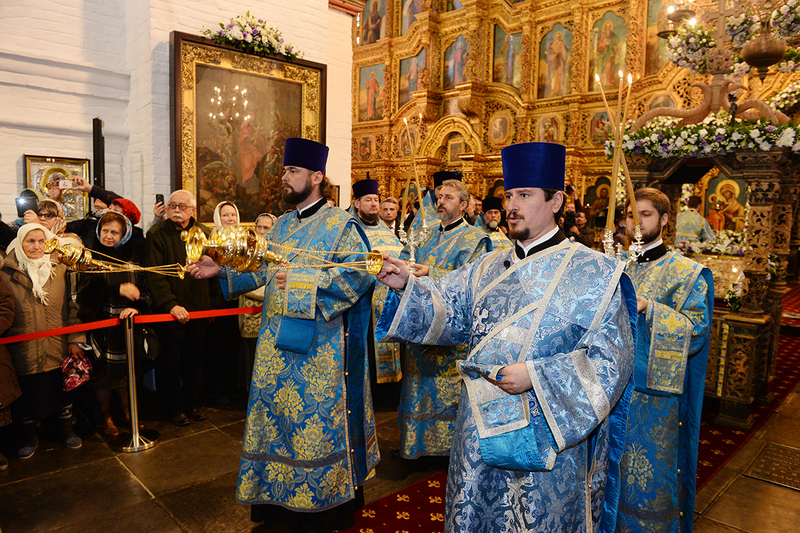 The events were attended by the hierarchy of the Russian Orthodox Church, the members of the regional and federal administration, and many believers. To do our best was fundamental and with K-array we were able to let the general public experience all the beauty and solemnity of the liturgical celebration.